Listing to upgrade an existing item. 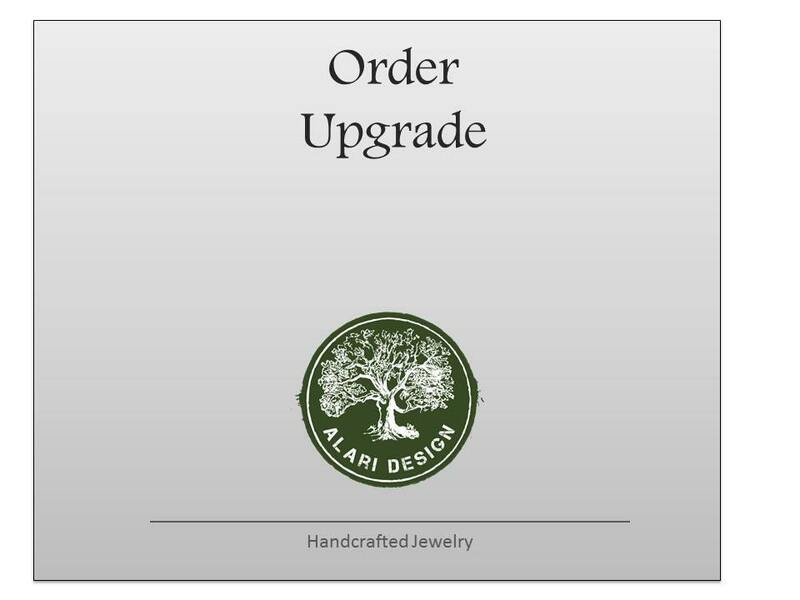 Please select the amount we discussed in the "Order Upgrade" drop down menu, and add it to your cart. Please also include a note in the "notes to seller" box with a quick description of what the upgrade is for. The rings are beautiful and Michael gave personalized service. When iI originally ordered, I mistakenly thought it was a set of rings and it was only one. Michael got right on it and the rings were made and sent out in one day to ensure that I had them for my daughter for Christmas. great attention to detail and excellent customer service. Great customer service, fast communication and delivery, great product again, would highly recommend. I have shopped at AlariDesigns A LOT, and wear Michael’s rings religiously. I just had my Rasta colored rings re-colored, and as you can see they look absolutely beautiful, as if they were brand new! They have taken quite a beating, as I had never taken them off for almost year! I camp, swim, shower, sleep, and live in these rings so I had to have them back ASAP because I don’t feel right without them. Well they had to have been worked on almost immediately because I got them back so fast and I couldn’t be happier with the customer service! Thank you so much Michael!!! !